Will the wind of change reach Sudan as it reached Egypt? The demonstrations called for through Facebook finally took place and triggered mixed reactions. The slap in the face of Mohamed Bouazizi changed the balance of world politics. This slap led Mohammed Bouazizi to set himself on fire, igniting a revolution and precipitating the fleeing of the ousted Tunisian President Zine El Abidine Ben Ali to Saudi Arabia. The story of \'the slap\', which got the attention of the whole world deserves to be told a hundred times and records need to be kept to tell the generations to come about it. This slap has brought many questions to light, and many strive to answer these questions through analysing the events in Tunisia and the spread of this revolution, inspiring the people of other countries such as Egypt. Many of the slogans used in the Egyptian revolution (staying, staying, not going anywhere) remind us of those used in Tunisia (sit-in, sit-in until the system is down). The most famous chanted phrase by the Egyptians at the Tahrir Square \'The people want to bring the system down\' has its Tunisian counterpart \'The people want to bring the Government down\'. The details of \'the slap\' as narrated on Alarabiya.net go as follows: \"Fadia Hamdi is a policewoman working in the state of Sidi Bouzid, Tunisia. According to the limited information about her, she is single, 35 years of age, and because of her famous slap, a revolution sparked in Tunisia after \"Basbous\", as his family called Mohammed Bouazizi, set himself on fire.\"
Salem, Mohamed Bouazizi\'s brother, told \'The Egyptian Today\' about the policewoman: \"My brother Mohammed had been suffering for seven years from the oppression of municipal officers, led by Fadia Hamdi and another employee named Saber. The two of them took the habit of confiscating my brother\'s vegetables twice a week. On the day of the incident, Fadia Hamdi came as usual with her assistant Saber and confiscated the goods of my brother under a municipal order. My brother called our uncle, who is a pharmacist, for help and indeed he was able to retrieve all the goods and to return them back to him. However, 10 minutes later they returned and took the vegetables again.\"
Salem continued: \"When Muhammad tried to talk with Fadia, she slapped him on the cheek, and Saber kicked him several times. When he tried to catch up with them, they hit him in the face and his nose bursted with blood. In the municipal headquarters where he went to the office of the Secretary General to file a complaint, this latter answered him: You dirty! Don\'t talk to me!\"
Salem added: \"The governor refused to hear him or meet him. My brother went outside screaming with rage after he felt burned inside. He then set himself on fire. While he was burning, the municipality guard was laughing and even the fire extinguisher they brought out to save him was empty\", stressing that the slap his brother received was what made the idea of suicide spring in his mind. He added: \"It is known in the Hammama tribe, that whoever is hit by a woman, is made to wear a dress.\" Salim insists that he and his family will pursue the policewoman Fadia and bring her to justice, witnessed by the international public. He explained: \"I will not let them get away. The guard who was laughing while watching my brother burn, the president of the municipality, the secretary general of the municipality, and the governor, all confiscated my brother\'s dreams in life.\"
With this headline, a number of websites and newspapers summed up what happened and is still happening in Egypt. The escalating events triggered by the protests against the regime of the Egyptian president Hosni Mubarak were detailed as follows: \"Demonstrations and protests continue in the streets of Egypt on a scale never witnessed before. The leader of this protest is Facebook, and the protesters are mostly middle-class, non-politicised young people, tired of unemployment and corruption, and dreaming of a new Jasmine revolution.\"
This new generation of young people leading the remaking of history has been attracting the attention of the whole world, yet they do not appear as individual leaders, but their presence will reshape the Egyptian political sphere. This might be the reason why many analysts believe that the composition of the latest Egyptian government did not meet the aspirations of the youth, as the new government exceeded sixty years of age on average, making them detached from the youth, unable to speak their language. This shift in ideas and visions seeks now to shed light on those who have been marginalised for a long time, with no one hearing their concerns and problems. These alienated segments of society have chosen to express their frustrations through blogs, one of them is a blog entitled \'Egyptian Awareness\' by Wael Abbas, who believes that \"social networking sites played a major role in calling for a demonstration and in communicating news about arrests and injuries. This is what pushed the Egyptian regime to shut Facebook and Twitter down.\" Amr Ezzat, a blogger and owner of the blog entitled \'how it seems to me\' says in his interview with Deutsche Welle Radio: \"What is happening in Egypt is a large decentralised movement. All the young people are involved through blogs, Facebook and Twitter.\"
Omar Kenawy, a political activist and journalist, said in an interview with Deutsche Welle: \"It was just like when many tributaries of a river join. There are many reasons that pushed the youth to gather in protest, including poor economic conditions, and the uprising in Tunisia, which was the catalyst for a broad range of people. There are tens of thousands of angry young people, who interact with each other over the internet, and we wanted to transfer this anger from the internet to the street. We had to go out to the street.\" Mansoura Abdul Rahman emphasises the role of the website \'We are all Khaled Said\' which carries the name of the young blogger who was killed by the police last summer: \"It is a telling coincidence that Said\'s 29th birthday was on January 27.\"
Making Sense of Sudan: Tunis, Egypt - is Sudan next? What the Facebook youth accomplished triggered different comments, ranging from mocking their capacity to overthrow political systems, to respecting their ability to bring about this change and to succeed where the political parties in Tunisia and Egypt failed. These comments and views were not confined to the events in Tunisia and Egypt, but had as well an impact on Sudan through the demonstrations called for on Facebook. The Islamic writer Ishaq Ahmed Fadlallah Ktat said sarcastically in one of newspaper where he regularly writes on 1 February 2011: \"The real demonstration was very enjoyable. Someone looked at the Sunday protests at the University of Khartoum, and then said mockingly - what a scandal, if the people of Tunis and Cairo would see you, they would be ashamed. The demonstration of a few hundred people was nothing but a girl-like protest.\" The mocking continues with the Facebook battle between two subscribers, when one of them receives the message to join the protest in the morning. He replies to the sender: \"I go out and you stay in sitting behind your computer, right?\"
Mr. Mohamed Abdelkader, managing editor of the \'Al Rayaam\' newspaper said that \"what happened in Egypt and Tunisia is a serious trial of the programs of political parties, as they (the parties) no longer reflect the reality and the aspirations of the masses\". Abdelkader added that the parties have not developed mechanisms to deal with the repression and oppression exercised by the ruling power: \"The protests came from invisible and undetectable sources, which surprised the ruling powers. We must as well not forget the role played by Facebook and other websites in finding quick and viable alternatives to the political parties.\" He continued saying \"the experiences of Tunisia and Egypt have pushed all systems to review their mode of operation and governance, searching for policies leading to major developments in freedom of expression, improving the conditions of citizens and taking into account the realities of the \'street\' when drafting policies\". 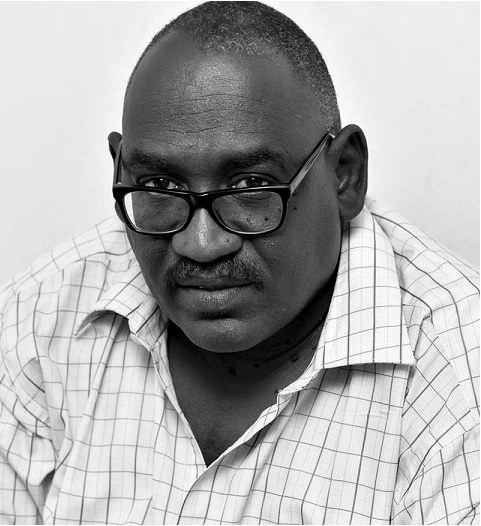 According to Abdelkader, there are lessons to be learned from these events that he summarised by saying: \"The people have overcome the political parties, and by virtue of the technological revolutions we live, regimes are required to develop and improve their relations with the masses directly.\"
Osman Fadlallah, the managing editor of \'Al Sudani\' newspaper, does not find the developments in Tunisia and Egypt surprising. His analysis of these events is as follows: \"What happened is a normal consequence of the fact that the world has become a small village. What happened in Tunisia and Egypt is a natural result of the revolution in communications: social segments who have never met, find a space to dialogue and to reach common visions.\" Fadlallah draws attention to the first case in which technology and communication have led to a new reality in a developed country; the election of a black president in the Unites States of America. Comparing between what was happening in the past and what is happening now, Fadlallah says: \"The difference between the past and the present is that coordination happened through political parties, civil society organisations and the people, while now, communication has become more direct and dialogue has become more mature affecting people\'s lives directly because it originates from them.\" He continued: \"Dialogue now is in the open air, be it over social, political or religious issues. On the other hand, it is important for the systems in place not to attempt suppressing ideas and freedoms because the way they are spreading nowadays makes them very hard to control.\"